I’ve used a clip chart for the past few years as a form of behavior management. The clip chart has worked really well for my students and me. 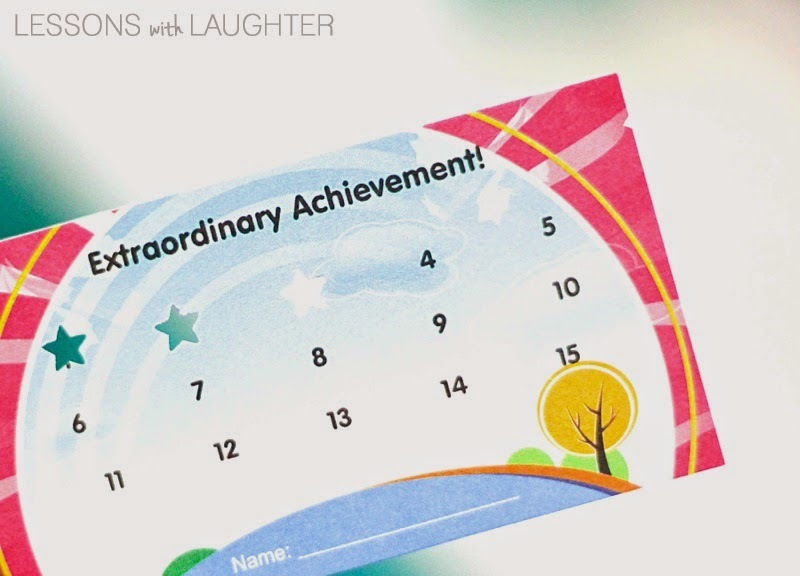 I’ve had students who needed alternate behavior plans which I’ve provided on an individual basis, but the clip chart has been overwhelmingly successful and appreciated by both my students and parents. One of the reasons that I liked the clip chart so much is because it gives students the chance to move both up and down. If they make a mistake they are not stuck there all day, but instead the have the opportunity to correct their behavior and move up. 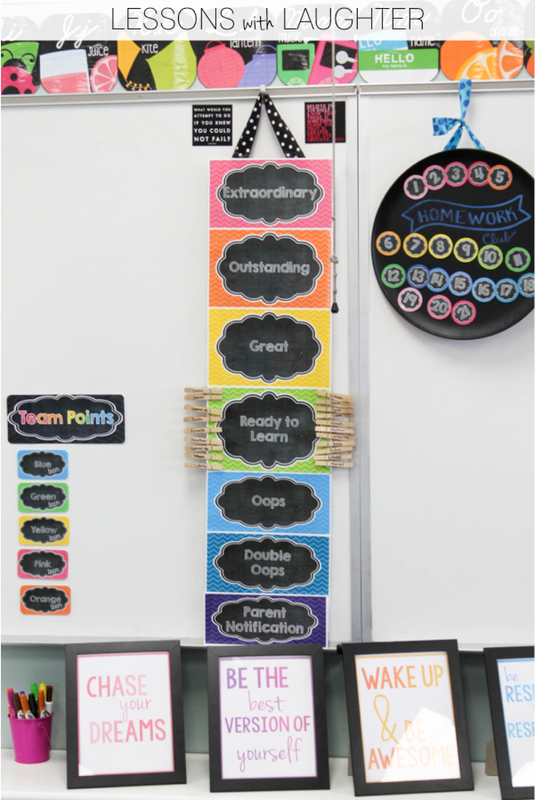 I use a lot of positive reinforcement of good behavior in my classroom and students are usually moving up on the clip chart and rarely down. In conjunction with the clip chart, I also made punch cards for when students move their clips up to extraordinary! At the end of every day after packing up we gather on the carpet for a read aloud. 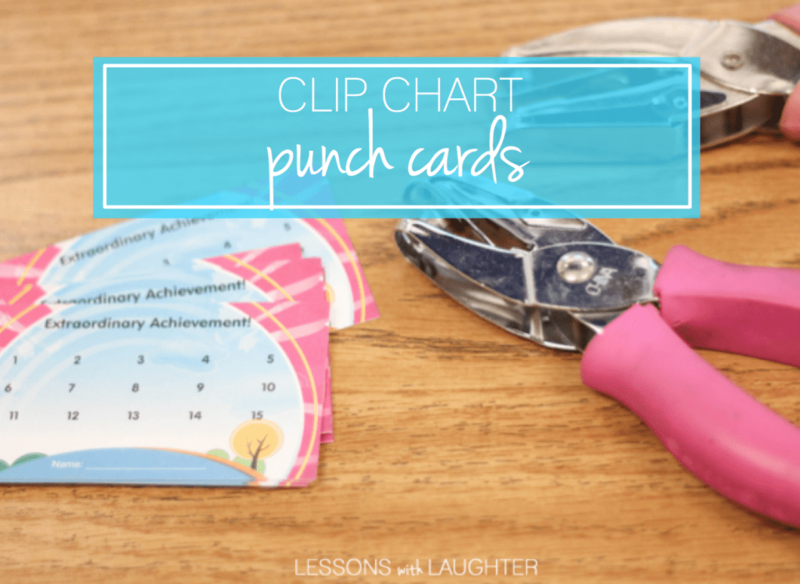 If students have moved their clip all the way up on our clip chart, they get a punch on their Extraordinary Achievement card. Once they’re card is complete, they get class money! 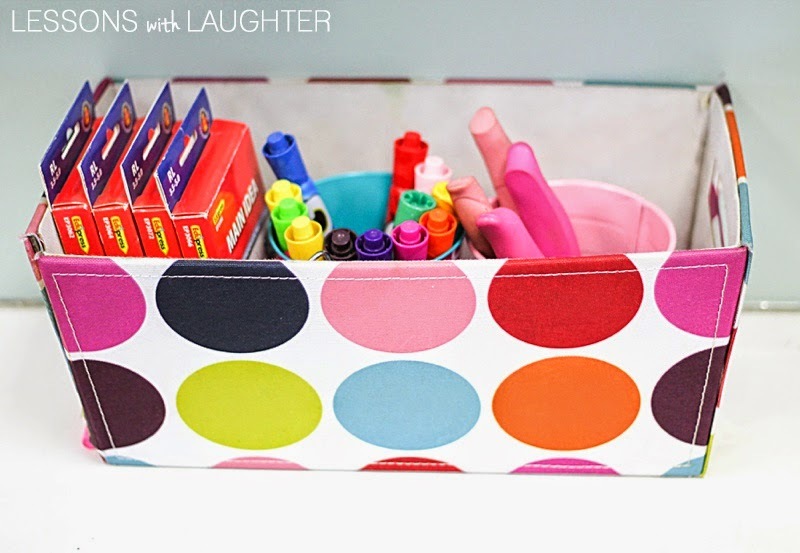 I keep extra punch cards and hole punches in a supply basket by my chair. This makes it easy for me to punch cards while I am waiting for students to come to the carpet. There are many different online sites that you can order similar punch cards from! They are just business cards and many sites offer deals where you can get a certain amount for free or for a great price. I picked a pre-made design when I ordered my cards and just added numbers and a spot for each student’s name. I ordered a batch of 500 a few years ago, so I can’t even remember which site I ordered them from! 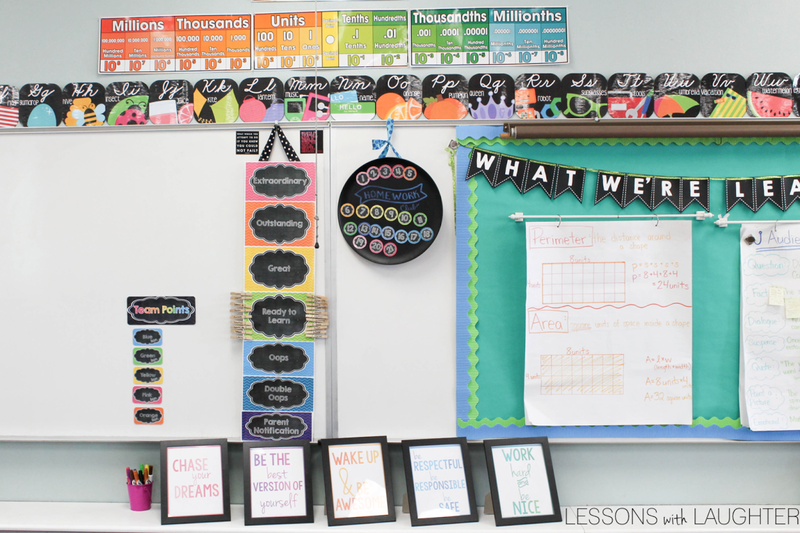 You can get my chalkboard clip chart for free in my TPT store! I specifically stayed away from using red as the “bad color”. You can click on the picture to download it from my shop! I love your clip chart, especially since the bottom isn't red! Do you by any chance have this in white (and the classroom letters and numbers)!! I also have your genre posters and name tags and LOVE them!!! What can students do with their class money? I’m guessing they can buy rewards. Can you share what kinds of things they can buy and how that system works in your room? Yes, they can buy different rewards with their money! I used to have a “treasure box,” but a couple years ago I decided to change everything to rewards that don’t cost me any money. Some of their favorite things are buying the yoga ball for the day ($50), buying the teacher’s chair ($100), stinky feet (they can take their shoes off in the classroom that day), buying a pillow for the whole day, etc. My student bankers take care of all the money!